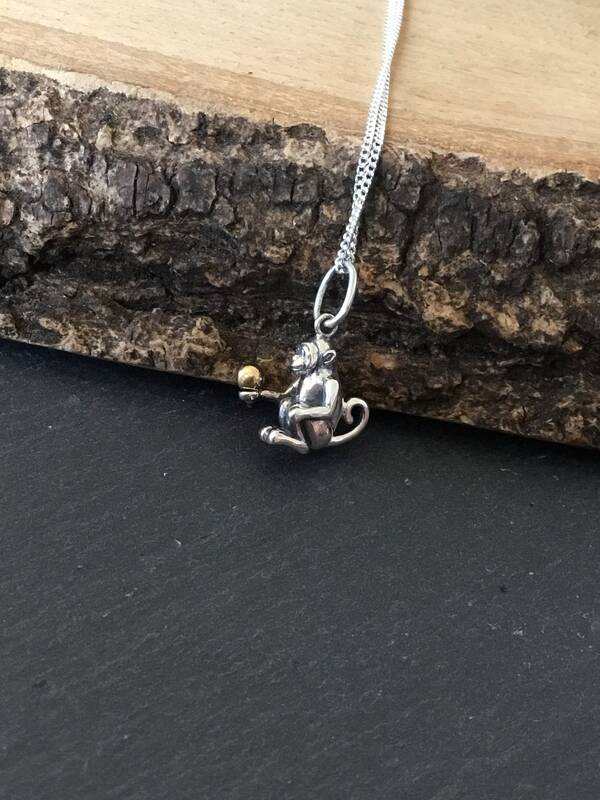 This Fantastic Necklace Has Been Made in Sterling Silver, Nice and Solid With a Lovely Weight. 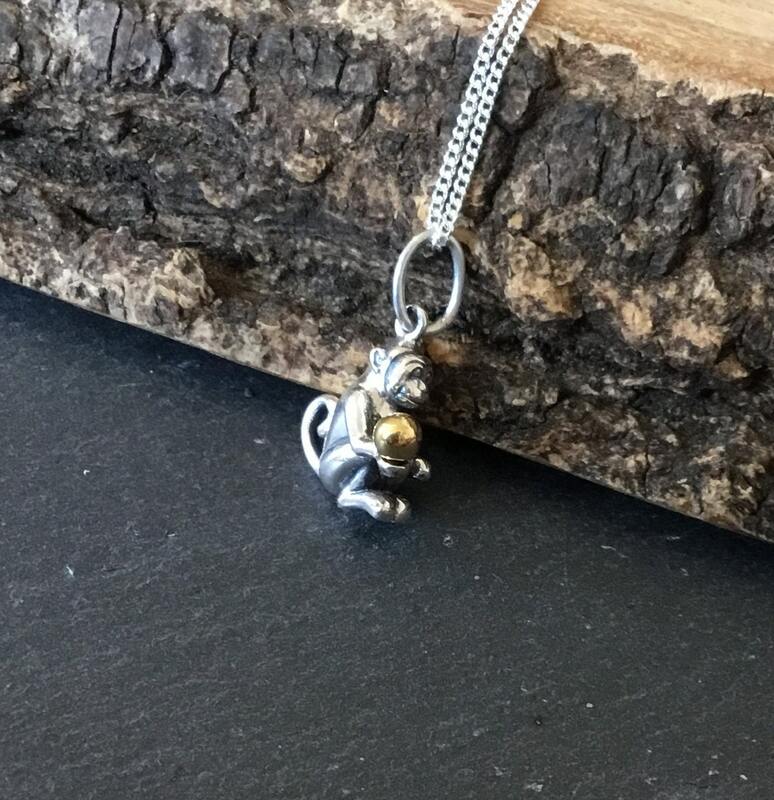 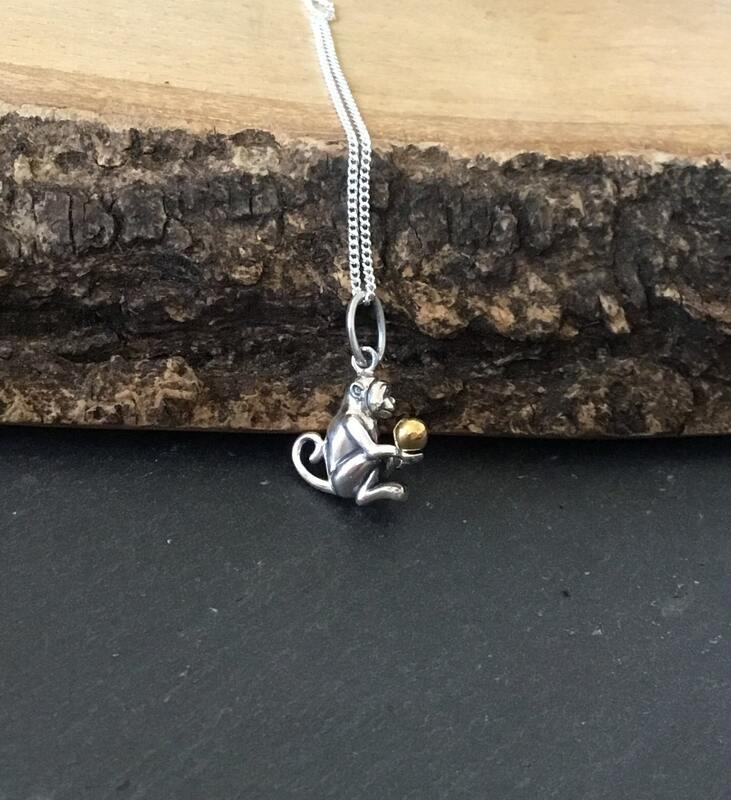 This Sterling Silver Monkey is Fully Detailed, The Silver Has Been Oxidised To Accentuate This Detailing. 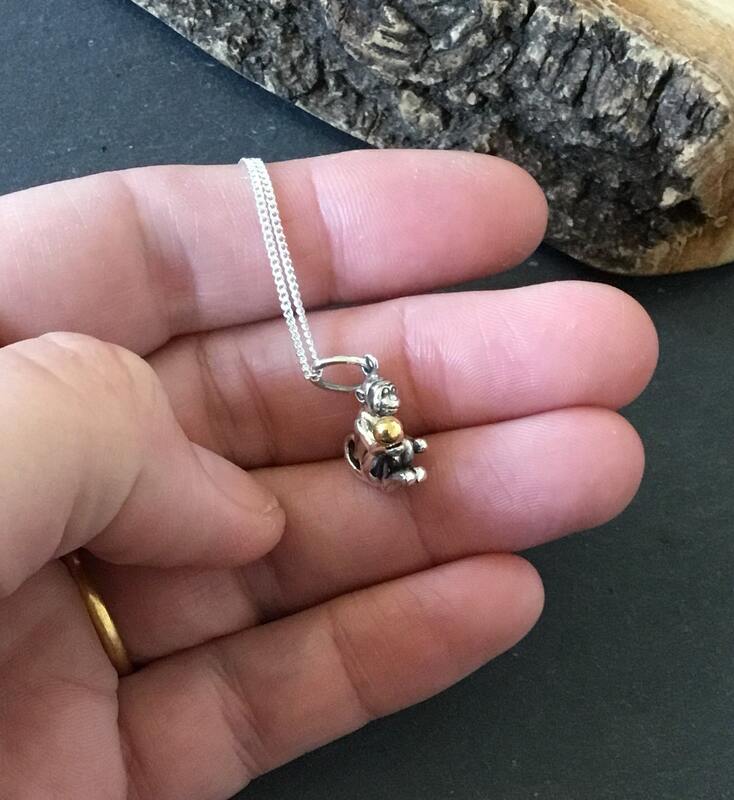 A Sterling Silver Ball Which Has Been 9ct Gold Plated is Held in The Right Hand. 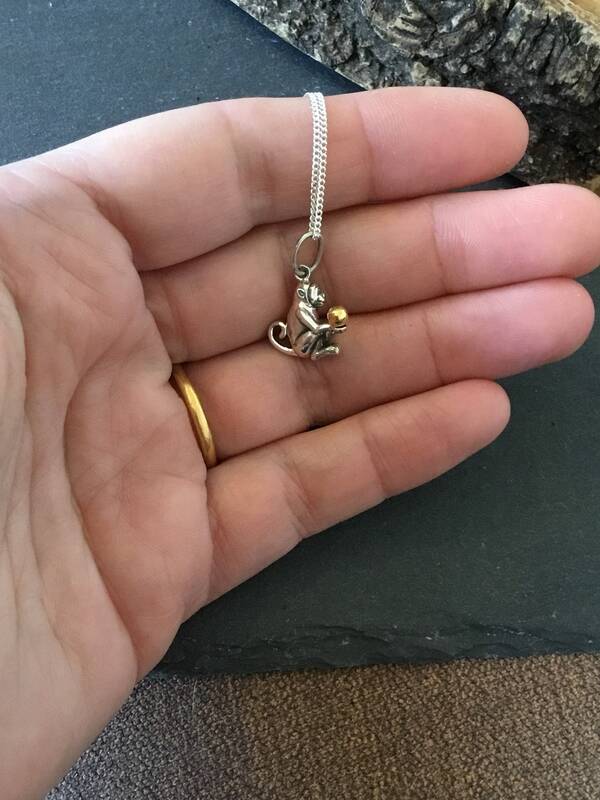 The Silver Curb Chain Measures 16 Inches Long, This Can Be Changed For an 18 Inch Chain. 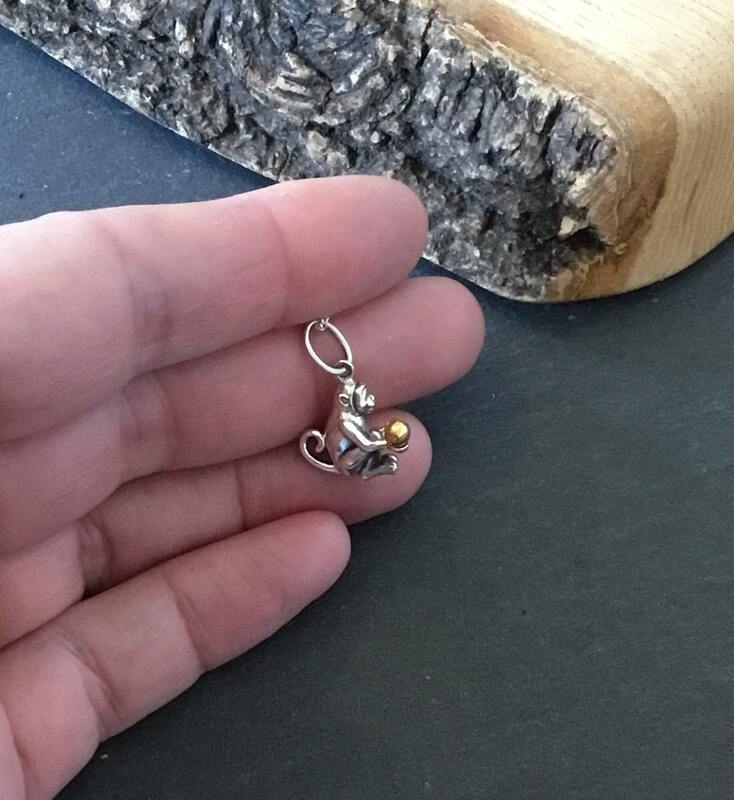 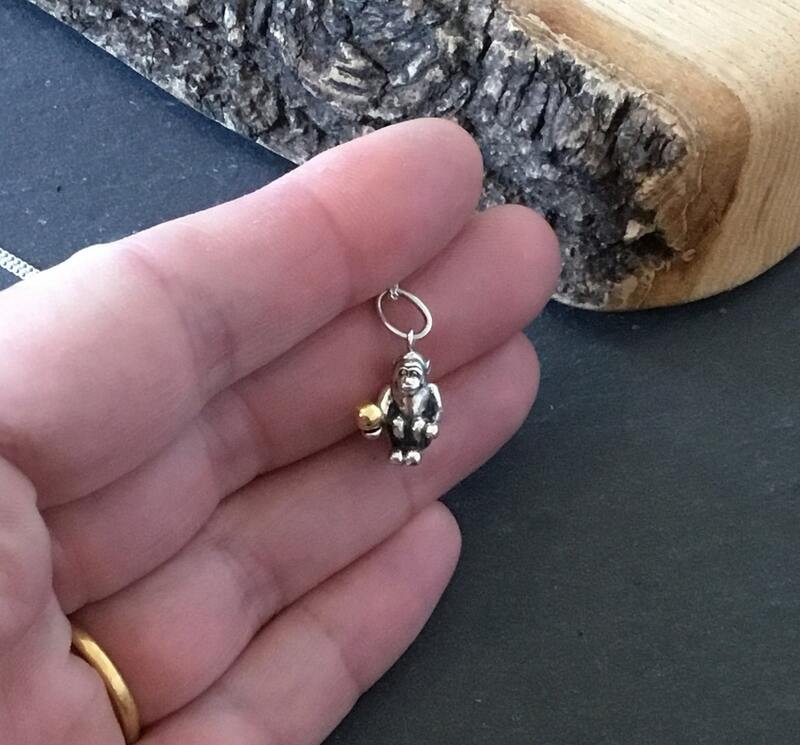 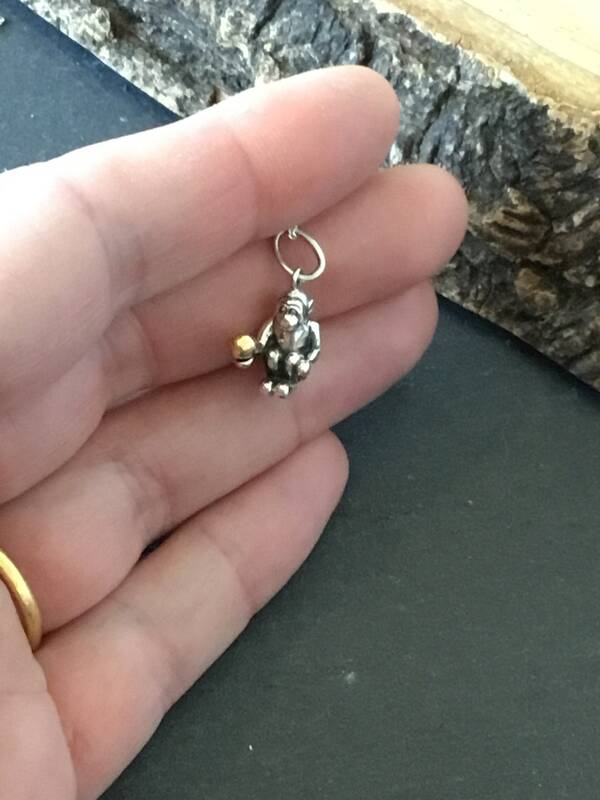 Measurements of the Monkey are 14 mm Wide, Inclusive of The Pendant Loop 21 mm in Height and 7 mm in Depth.